If you work in the IT industry, then you’ve probably heard or read someone mention VMUG, a VMUG, the VMUG, I’m presenting at a VMUG etc. A lot of you will know what this means, but for those of you that don’t, then you’ve come to the right place. I thought I’d share my thoughts on what it’s all about, and why I think it is an important and very rewarding community to be a part of. I’m a member of the North West VMUG here in the UK, and I regularly attend the event which is a full day every 3 or 4 months per year. The number of VMUG gatherings vary from place to place and are held in most countries that I can think of. It is entirely free to attend a VMUG event, you just need to find the closet VMUG to you and register. To become a VMUG member you simply sign up on VMUG.com, and then look for what’s happening in your area/country. You will then be able to see an agenda and a list of presenters which in my experience, always includes some very impressive people and vendors. As an example I’ve recently had presentations from the likes of VMware Chief Technologist Cormac Hogan, VMware EMEA CTO Joe Baguley, reps from iGEL, Zerto and Blue Medora to name a few. You can hear from people who influence VMware’s strategy and vision, and hear about the direction of VMware’s products. You can ask questions, and talk about issues or features that you would like to see in products. I work for VMware as a Technical Account Manager, so work closely with customers and the technology that they have purchased from VMware, and I can tell you for a fact, that VMware listen to customers. I worked with one of my customers to influence the direction of one of VMware’s products. I put forward a use case for something VMware had not planned to do, and working with the product team and my customer, we managed to change the direction of a product. My point is, VMware are the first to acknowledge that the community has some very impressive technical people who have great ideas, and a VMUG is another place where you can express yourself. Can you give a presentation at a VMUG? Absolutely! This is me giving my first presentation last year! It’s much easier than submitting a paper for VMworld for instance. You just need to have a subject area that you know well, then approach your local VMUG organisers and put it to them. They will always be keen to listen. With vSphere 6.0 going end of general support in March 2020 (make a note! ), now is a great time to be planning your vSphere 6.0 to 6.5/6.7 upgrades. Two of the talks at the NW VMUG in Manchester focussed around this topic. One presentation coming from my fellow TAM Simon Conyard on the non technical aspects of an upgrade, engaging stakeholders, knowing your applications and environment etc. The second focused on the more technical side which was delivered by two community experts, one a VCDX, neither VMware employee’s, so it was a great day for learning about upgrades. You’ve looked into it, you’re going to attend your next local VMUG, but what’s is VMUG Advantage, and is it worth it? Honest answer is, it’s very likely that it will be great for you, but it depends. Why do I say it depends? You get access to a year of free e-learning courses. This is brilliant but if you already have access to a VMware Enterprise Learning Subscription, you may not need this. You also get a huge amount of discounts, but if your employer is generous and pays for your training, you may not need this. 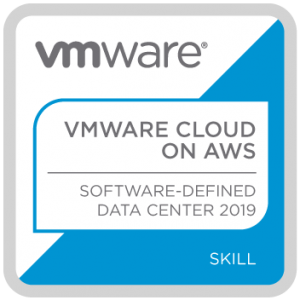 You get a 20% discount on VMware Training Classes, 20% discount on VMware Certification exams, 35% discount on exam prep workshops, 35% discount on VMware Lab Connect and $100 off a VMworld ticket. The VMUG Advantage can easily pay for itself, but if you don’t need the benefits, the standard free membership is fantastic in my humble opinion and the main thing is to try to attend a local VMUG so that you know what it’s all about. Previous: Previous post: VMware remove the 2 year recertification policy!